Drawing on MORE ART’s 12 year experience curating public art about housing, home, and homelessness, HOME(WARD) resonates with the tireless pursuit of New Yorkers who strive for a more equitable city. The multidisciplinary exhibition at The Nathan Cummings Foundation showcases the work of 10 contemporary artists redefining the boundaries of what it means to create a home within today's urban context. HOME(WARD) captures diverse artistic responses to critical issues facing the homeless and homed alike, the shifting landscape of activism among seemingly relentless gentrification and displacement, and the persistent challenges new immigrants overcome as they strive to build a new home in a new place. 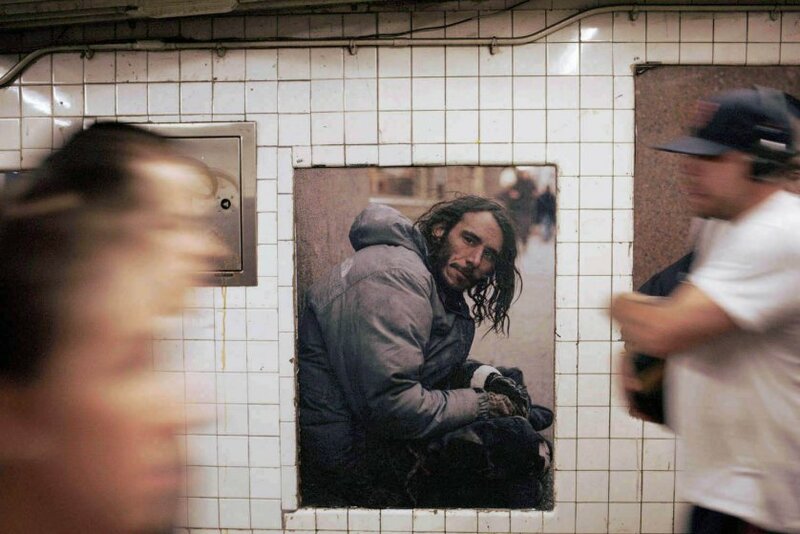 Among others, the exhibit includes Andres Serrano’s Residents of New York, a series of large scale photographic portraits originally exhibited in the West 4th Street Subway Station (2014); an interactive installation based on events staged in numerous private residences as part of William Powhida and Jennifer Dalton’s 2016 series, MONTH2MONTH; and new artworks created by MORE ART’s Engaging Artists Residents currently working with community organizations that provide much needed social services for the city’s most vulnerable foreign born aging populations. Featuring works by: Justin Blinder, Ofri Cnaani, Jennifer Dalton and William Powhida, Michelle Melo, Andrea Mastrovito, Soi Park, Andres Serrano, Xaviera Simmons, and Hidemi Takagi.